This site was created to spread the SPAZIONICA, new scientific frontier discipline that has to be seen as a new unifying Categorization of Physics (Nature), the SPAZIONICA sees Space (Maxwell Medium) as a base substrate in which all phenomena exist and persist of physical reality. The SPAZIONICA founded its bases on a single force, that of Lorentz, dispels the duality wave-matter and reveals the principles that determine the existence of particles with the resonance mechanism combining Electron, Nucleon (Atom) and Universe. Away from abstract concepts and simply using logic with simple equations we reached the Unification identifying the root cause of Nature, the building block: the quantization / cellularity of Space that unites microcosm and macrocosm. It opened in fact the scenario that involves the production of clean energy and low cost that does justice to the LENR experiments (Low Energy Nuclear Reaction) announced by many scientists in the world; Also the new proposed model is connected and provides space propulsion without mass ejection PNNE (Electromagnetic Propulsion non-Newtonian). Space is not empty, it is not nothingness, but is a medium, a equalizer physical entity, the Physical Entity for excellence, and its the result of the crossing of the electromagnetic waves that have passed and pass through it. The Electron (charge) and the proton (nucleon mass) can be viewed as stationary electromagnetic fields / waves at local equilibrium (resonance) with Space. We understand how “particellarity” does not depend on the particles themselves but by the electromagnetic properties of the space that contains them. Electromagnetic energy can exist and persist in Space in translating forms (electromagnetic wave) or stationing form (condensed —> charge, mass). 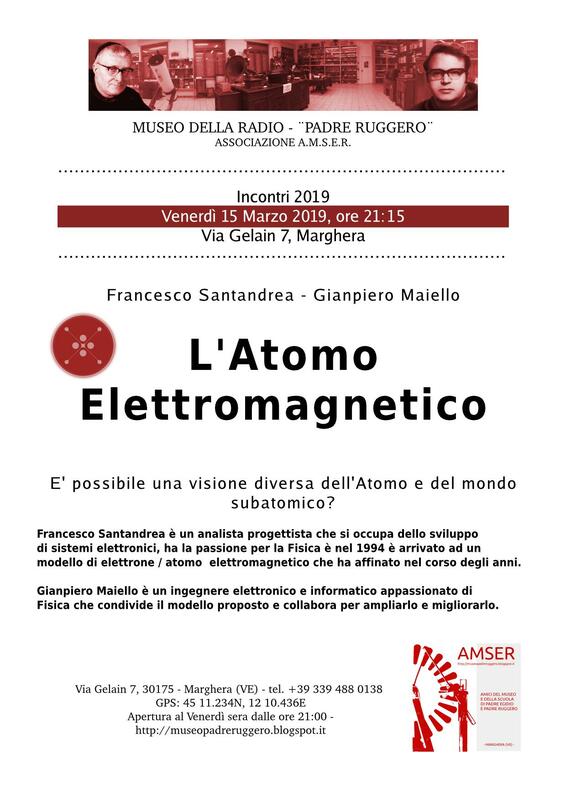 The SPAZIONICA starting from the Conception of Electronic Energy Space and Matter introduces a new generalization and categorization shifting the focus from particles so far discovered to electromagnetic characteristic properties of Space and the physical laws and mechanisms that allow their existence. The SPAZIONICA identifies and promotes space as substrate or primary element generative particles, the electromagnetic properties features of Space: electric permittivity ε0 and magnetic permeability μ0 that determine quantization and structuring, in first instance as charge and in second instance as mass. Space basically is a superconducting electromagnetic energy diffuser sent to it, in thermodynamics key it follows that the entropy can be conceived as an expansion / extension of the border / drift Universe.